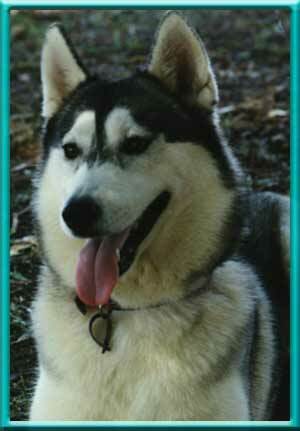 Siska was my first Siberian. I purchased her when she was 10 months old. Unfortunatley we bought her mainly because we felt sorry for her. She has had a rough life. When I found her she was living her days tied with a rope to a back verandah all fly blown and ungroomed. 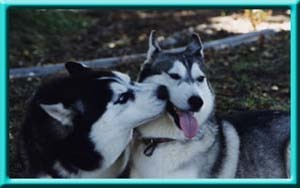 It took me 2 years and alot of love, patience and training to get Siska to trust people. Fortunatley she did respond well. Siska loves walks, obedience and her playmates Charm and Fire. Sometimes Siska comes along to shows to give her support. I am so blessed to have Siska in my life.